Everything happens for a reason. There is a story behind every name of tech product you use on your daily basis. Did you ever think of where your favorite tech companies got their names from? Well, this might is not too crucial rather than learning how to use or getting the most out the products themselves. From world’s most innovative company — Apple — to world’s largest free encyclopedia — Wikipedia — here is the list of brief stories behind popular tech company names. Those working on the creative industry must be familiar with products like Photoshop, Illustrator and Lightroom. These products are just few examples of Adobe’s products. There are tens other products developed by Adobe. Adobe itself was founded by John Warnock and Charles Geschke. 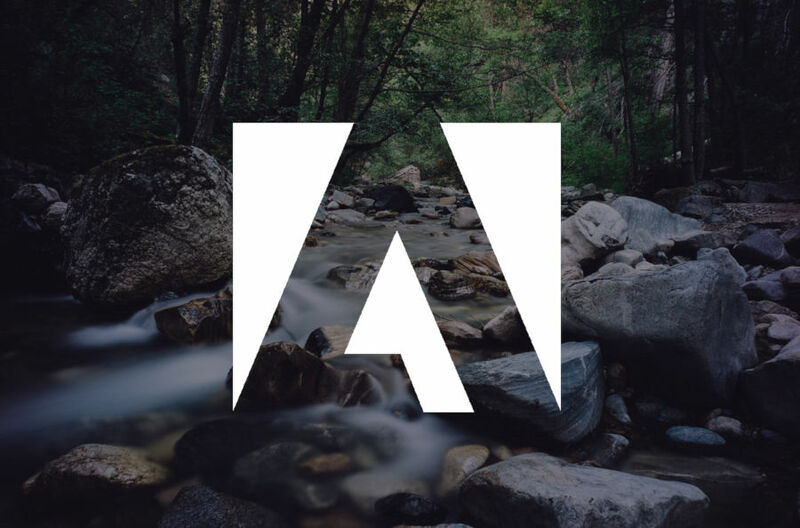 The name “Adobe” was inspired by a creek ran behind John Warnock’s house in Santa Clara County, California, US. Alphabet is the parent company of world’s biggest search engine Google. In 2015, the founders of Google — Larry Page and Sergey Brin — decided to restructure their company by founding a parent company of their existing products like Google, Android, Gmail and so on. Regarding the name Alphabet, Larry Page once said “We liked the name Alphabet because it means a collection of letters that represent language, one of humanity’s most important innovations, and is the core of how we index with Google search!“. Amazon has transformed from a book store into world’s largest online retailer. Jeff Bezos, the founder of Amazon, wanted something “exotic and different” for his company and “Amazon” was chosen. Amazon itself is the name of the world’s largest river that runs in South America. Many people know Apache as the Native American tribes in the Southwestern United States. Apparently, it’s not the inspiration of the Apache software company. The founder of Apache — Robert McCool — got started by applying patches to code written for NCSA’s httpd daemon. The result was ‘A PAtCHy’ server. Apple is one of the most valuable companies in the world and everyone knows who’s the main actor behind this company. He was Steve Jobs. But, have you known the story behind the name “Apple”. Once upon a time, Steve Jobs made a trip to an apple farm while on a fruitarian diet. He then thought that the name “Apple” was fun, spirited and not intimidating. Asus is one the most popular laptop brands. The name “Asus” was taken from the word “Pegasus”. Pegasus itself is a winged horse in the Greek mythology that has the capability of flying. In the Greek mythology, Pegasus is known as the kid of the Olympian god Poseidon. Cisco is a tech company that was founded in San Francisco, California by 1984. The company is known for its network-related products. The name of the company was taken from the name of city where the company was founded, San Francisco. Another company’s element that was inspired by San Francisco is the logo. The logo of Cisco represents a stylized Golden Gate Bridge. Dell is one of the most popular PC brands. The name of the company was taken from the name of the founder, Michael Dell. “Dell” itselfs not the original name of the company founded by Michael Dell. Before he changed the name to “Dell”, the company has the name PCs Limited. No one doubting eBay as the world’s largest auction site. Before known with it simpler name, the company was originally had a longer name. Instead of “eBay”, the company’s original name was “Echo Bay Technology Group”. To make it simpler, the name then was shortened to “Echo Bay”. Unfortunately, the name “Echo Bay” was already taken by consulting firm so the founder decided to use “eBay” as the final name of the company. Everyone knows who is the man who made Facebook. Mark Zuckerberg created Facebook when was still in a study period at Harvard University in 2004. Originally, he named his work “The facebook”. He chose this name after the sheets of paper given to freshmen for profiling them. The seed of Facebook itself was a program called Facemash which written by Zuck in 2003. Flickr was created by a Canadian company Ludicorp in 2004. Originally, the company wanted to use the name “Flicker”, but the domain of Flicker.com was apparently already taken by someone else so it dropped an “e” to keep the name. Today, the domain of Flicker.com itself already belong to Flickr. Flickr itself is now owned by SmugMug. SmuMug bought Flickr from Oath Inc. in April 2018. Hewlett-Packard or better known for its short name HP is another one of the popular PC brands. The name of this company was taken from the names of the founders, Bill Hewlett and Dave Packard. They tossed a coin to decide whether the company they founded would be called Hewlett-Packard or Packard-Hewlett and you know who eventually won the toss. IBM is one of the oldest players in the computer industry. The company was founded in 1911. By the time this company was founded, it had the name “The Computing-Tabulating-Recording Company” instead of IBM. In 1924, the CEO — Thomas Watson Sr — decided to rename the name of company to IBM with a purpose of promoting its expansion. IBM itself stands for International Business Machines. Instagram is arguably the current’s most popular social media platform. Instagram itself was created by Kevin Systrom and Mike Krieger. When looking for a name for their company, the two wanted a name that describes the act of “recording” something “right here, right now”. Instagram itself is now owned by Facebook and the founders have left the company they founded. Intel is a well-known semiconductor chip maker. The company was founded in 1968 by Gordon Moore and Robert Noyce. Before known as “Intel” like today, the company previously known with the name “N M Electronics” in 1968. Intel itself is an acronym of “INTegrated ELectronics”. Lenovo is a tech company based in China. It was founded by Liu Chuanzhi in 1984. Originally, this company had the name “Legend” until it got renamed to “Lenovo” in 2003. The company decided to use another name following the company’s plan to expand the business globally. Liu Chuanzhi, took “Le” from “Legend” and translated the word “new” to “novo”. “Novo” itself is a Latin word that means new. The name “Lenovo” officially used in 2003 until today. Bill Gates and Paul Allen founded Microsoft in 1975. Today, Microsoft is arguably the largest software company in the world. Microsoft Windows and Microsoft and Office are just little examples of the software developed by Microsoft. The name Microsoft itself was coined by Bill Gates to represent the company that was devoted to MICROcomputer SOFTware. Originally, there was a hyphen symbol separating the word Micro and Soft (Micro-Soft). Mozilla is one of the largest non-profit companies in the tech field. The company itself was founded in 1998 by members of Netscape. Mozilla is the company behind a popular open source web browser, Firefox. The word Mozilla itself is a portmanteau of the words “Mosaic” and “Godzilla”. Mosaic is the web browser that popularized the World Wide Web and the Internet while Godzilla is a monster originating from a series of Japanese films of the same name. Same as Mozilla, Netflix is also a portmanteau of two words. Those words are “internet” and “flicks”, which is stylized as “flix”. The word “Netflix” has the meaning of online movies portal. Nvidia is atech company that is well-known for its GPU products. This company has a logo of a green eye. This logo depicts an envy, which is the meaning of the word “Nvidia”. The company’s branding intends to envy those who do not own a Nvidia product. The word “Nvidia” itself was taken from a Latin word “invidia” which means envy in English. Oracle is a tech company founded by Larry Ellison, Bob Miner and Ed Oates. “Oracle” itself was originally the name of a source code that Larry and Bob worked on for a consulting project for the CIA. The project itself was eventually terminated by CIA, but Larry and Bob wanted to finish what they started. The result is the Oracle company like we know today. Qualcomm is a tech company well-known for its wireless telecommunications products. The company was founded in 1985 by seven founders: Irwin Jacobs, Andrew Viterbi, Franklin Antonio, Adelia Coffman, Andrew Cohen, Klein Gilhousen and Harvey White. The word “Qualcomm” itself is an acronym of “Quality Communications”. Samsung is enjoying its huge success with its Android devices, particularly smartphones. In the smartphone segment, Samsung is one of the closest competitors of Apple. Samsung itself is Korean-based company. The name of this company was taken from a word in Korean Hanja Language “samsung” which means “three stars”. The word “three” signifies something “big, numerous and powerful”, meaning the company’s name signifies its plan to grow enormously. Skype is one of the tech companies that was bought by Microsoft. Skype itself was released in 2003. Originally, this product had the name “Sky Peer-to-Peer” before shortened to “Skype”. Skype itself is one of the most popular video call software. Sony is a tech company that produce a wide range of electronic devices. But, Sony once got very popular with its Walkman product in the analog music era. The name of this company was taken from a Latin word “sonus” which means sound. That word was also combined with the word “sonny”, a slang used by Americans to refer to a bright youngster. Sony itself is Japan-based company that was founded by Masaru Ibuka and Akio Morita in 1946. The music industry has totally transformed into a digital format. Today, Spotify is one of the most popular music streaming services with a worldwide coverage. The service itself was released in 2008. The name of this company itself accidentally came up when one of its founders misheard a suggestion as “spotify” while brainstorming. But later, they came up with an after-construction that “Spotify” blended from the words “spot” and “identify”. There were four people at the beginning stage of Twitter. They were Jack Dorsey, Noah Glass, Biz Stone and Evan Williams. Twitter went from an idea of an individual using an SMS service to communicate with a small group into one of the biggest social network services. The original project code name for the service was “twttr”. The name Twitter itself came from Noah Glass and described as “A short inconsequential burst of information, chirps from birds”. Ubuntu is a popular free operating system based on Linux. The operating system is developed by Canonical, a company founded by Mark Shuttleworth. Just like other free software based on Linux, the goal of Ubuntu is to provide a reliable, free operating system for everyone. The name Ubuntu itself was taken from a word in Zulu language “ubuntu” which means “humanity to others”. The name Ubuntu is strengthened by its logo that depicts three-person hugging each other. Wikipedia is the largest free encyclopedia. But, do you know the meaning of its name? The name Wikipedia was inspired by a word in Hawaiian language “wiki” which means “quick”. The word itself was actually a mash-up with part of the word encyclopedia. In its golden era, Yahoo! is the king of both search engine and email service. Despite its current fate, Yahoo! is one of the pioneers in the era of modern internet. Yahoo! is currently owned by Oath Inc. The name Yahoo! was inspired by a word on a book titled Gulliver’s Travels by Jonathan Swift. This word represents a person who is repulsive in appearance and action, and is barely human. The founders of Yahoo!, Jerry Yang and David Filo chose the name because they considered themselves yahoos.